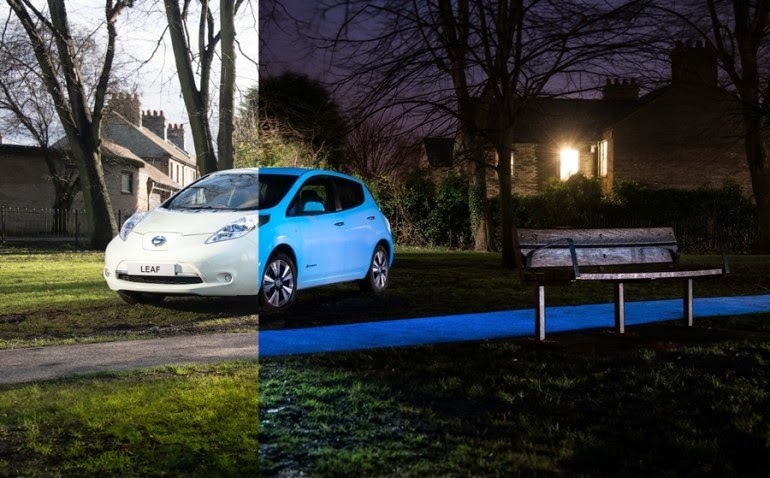 Nissan has just made a new breakthrough by making the car paint which can be lit at night aka glow in the dark. As quoted from Gizmag, a special paint that was tested on the Nissan LEAF electric car. This makes the Nissan recorded as the first auto manufacturer to implement a luminous paint on the vehicle. To make the paint, Nissan even have to ask for help from Hamish Scott, an inventor who creates Starpath. Starpath is a paint coatings that can absorb ultraviolet light during the day and then glowed at night for 8-10 hours. The 'glowing in the dark' paint is already often sold on the market, but this paint is more unique because it uses a secret formula that is entirely made of organic compounds.